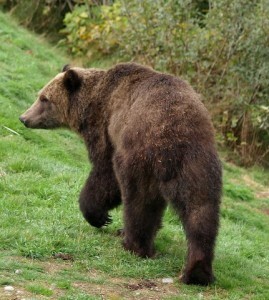 Awesome sights on a daily basis! 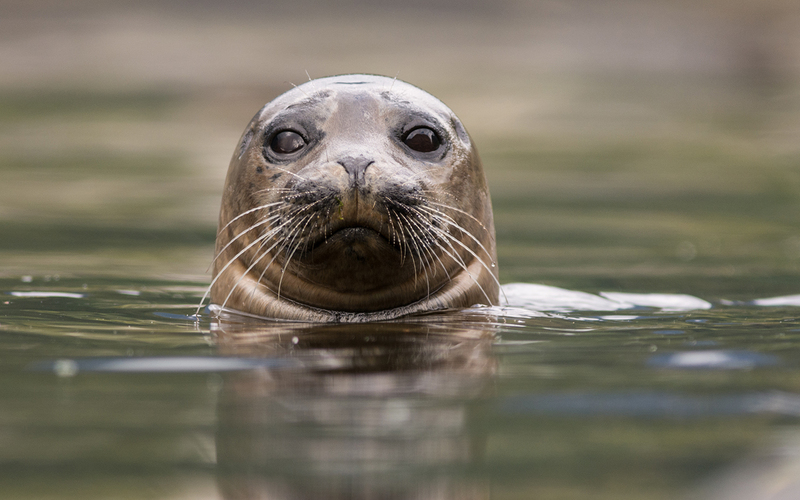 Each day our guides see something new, it never gets old for these guys. 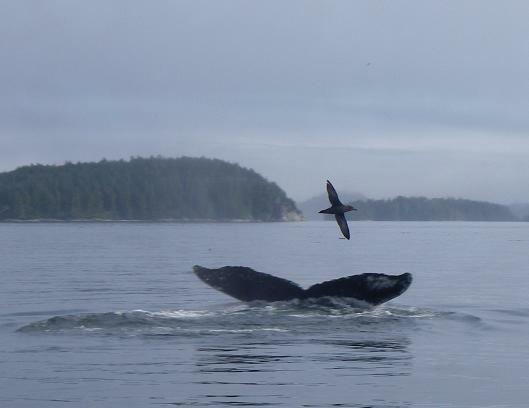 Check out some of their photos from guiding bear and whale watching excursions. Until the salmon arrive in the river in late August the grizzly bears of Knight Inlet find their food on the beach. 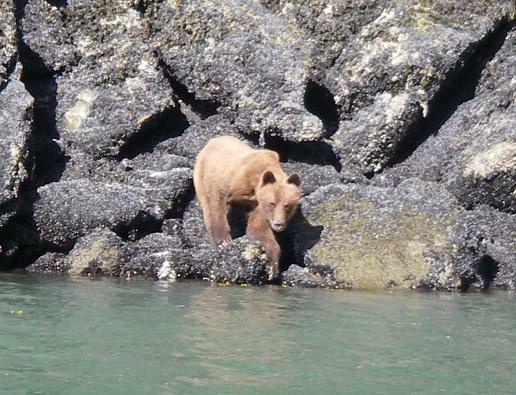 This bear was scrapping mussels and barnacles from the rocks to obtain the protein necessary to keep it alive. 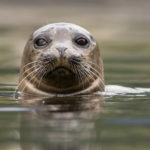 These are eaten “in the shell” and with our motor turned off we can hear the crunching as well as the scrapping of claws. This look was “you are in my comfort zone” so we slowly backed off a few meters. 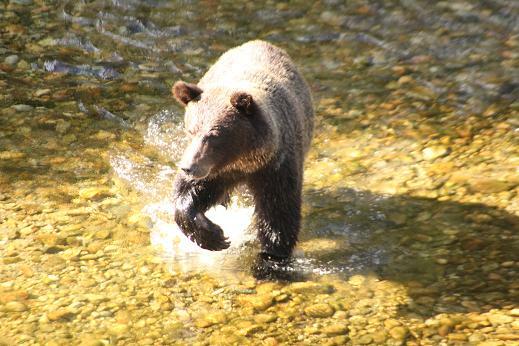 Once the salmon have arrived and after August 24th (per Government Regulations) we move up the Glendale River to the viewing platform to view grizzlies waiting for salmon. 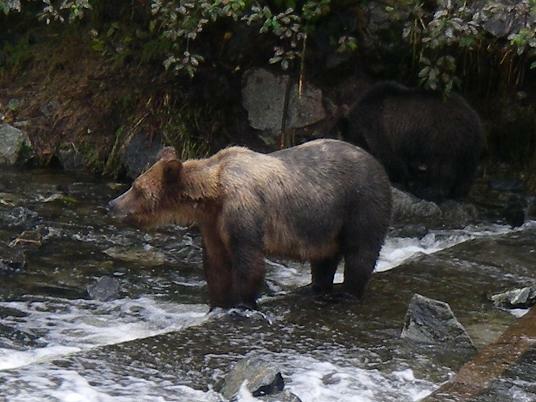 These two grizzlies (look carefully) were very good at catching salmon as one caught and moved off it eat its fish the other waited for a salmon to come within reach. We often see mother and cubs while viewing the Grizzly Bears. 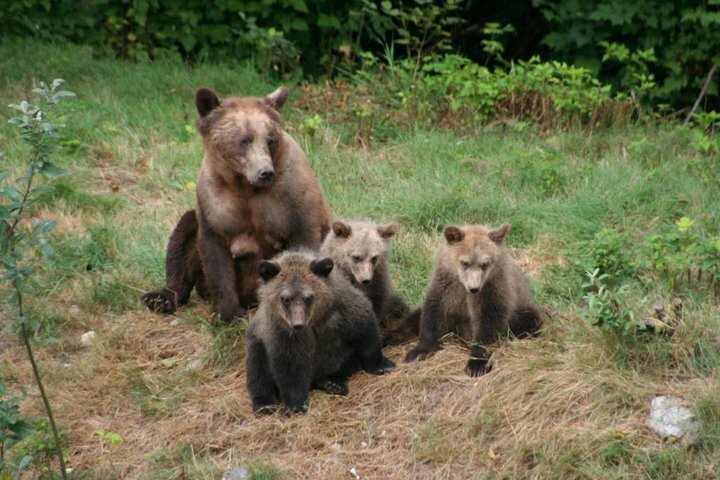 Grizzly Bears are slow reproducers, but the mothers take excellent care of their young. 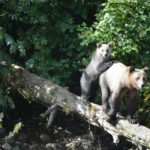 These bears are near the river and the mother is doing a good survey for potential dangers before venturing out with her cub. 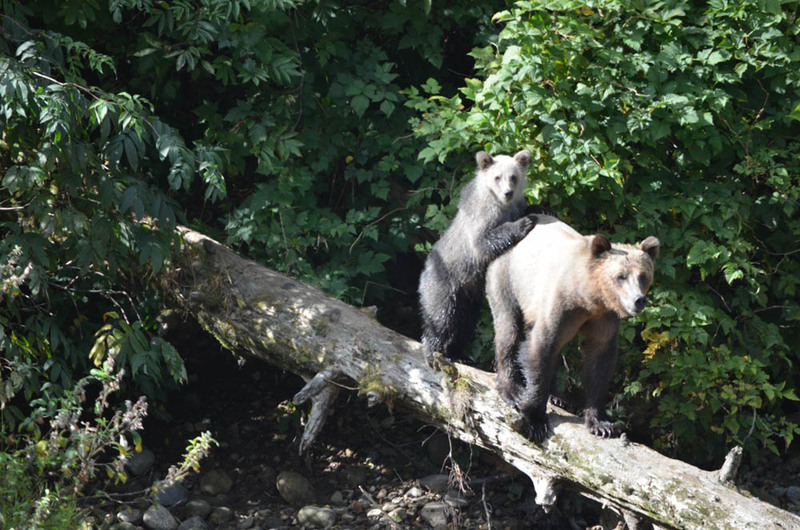 We are very lucky to be located in the Great Bear Rainforest, where the wildlife is plentiful and the scenery is spectacular. 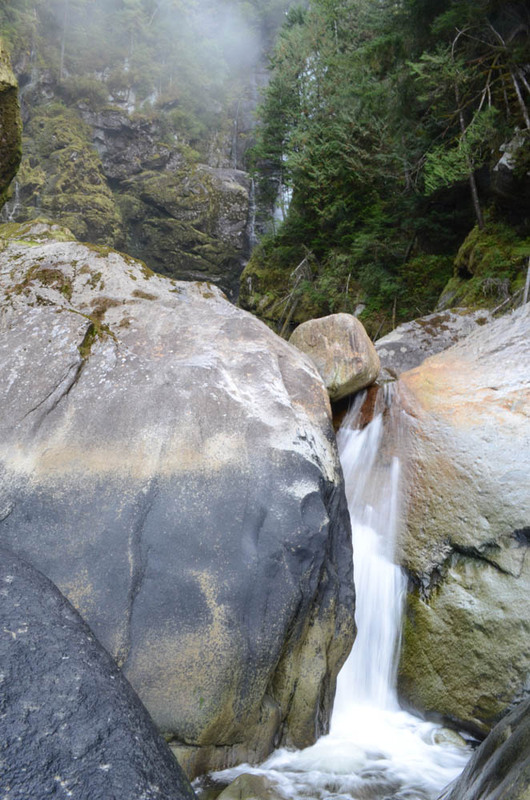 Often we take for granted the little things, which are also beautiful, such as this small falls entering Knight Inlet. 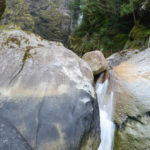 The larger waterfall in the back is Rainbow Falls, which is just past Glendale Cove where we do most of our Grizzly Bear watching. The post from yesterday with the seine boat netting salmon is in direct competition with today’s killer whales fishing. 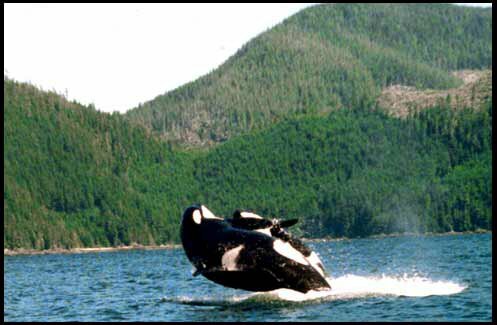 I have found over the years that during the commercial fishing season, which is not much, more that two weeks the orca stay away from the areas containing the fishing boats. 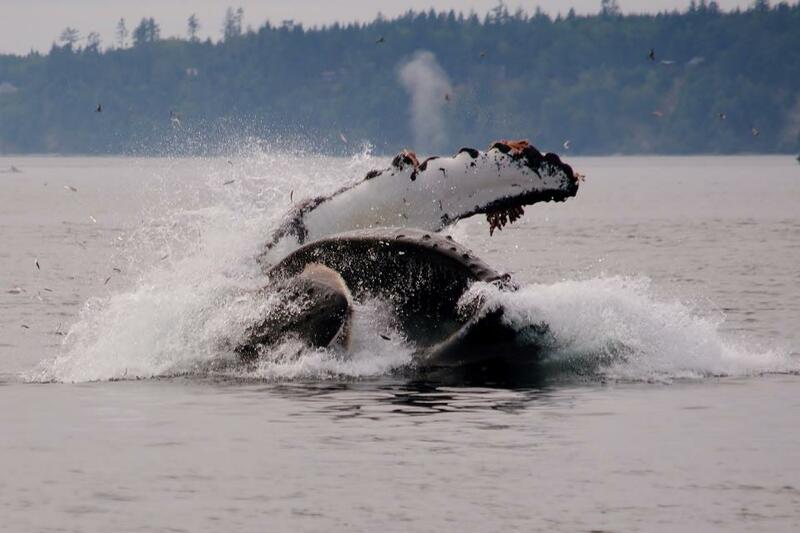 Fortunately the commercial fishing area is a small portion of the viewing area for orca and humpback whales. 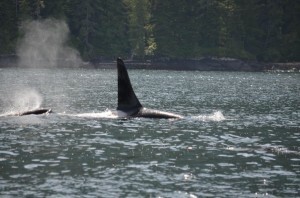 In a way it is helpful in that it eliminates some area from our search grid and helps to locate the humpbacks and killer whales a little faster.